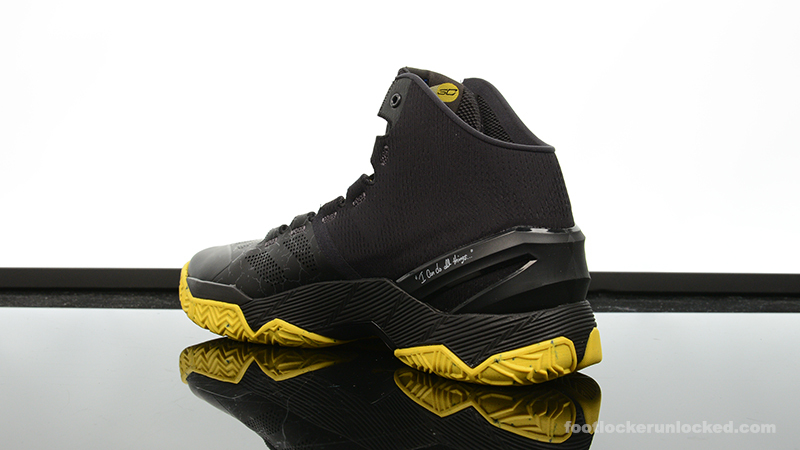 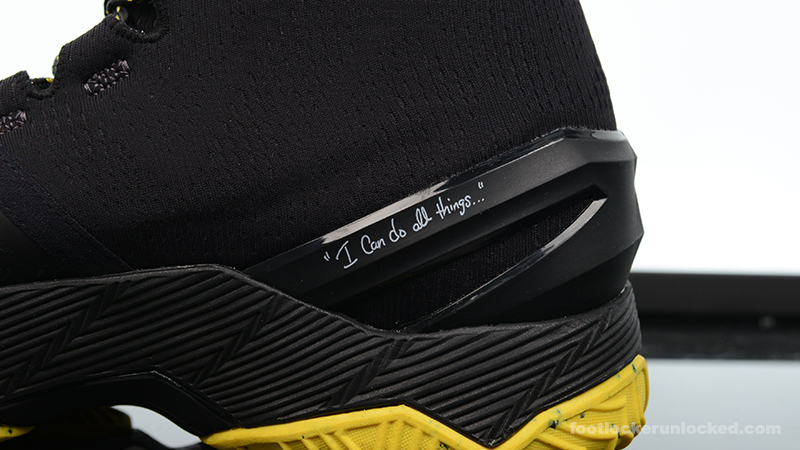 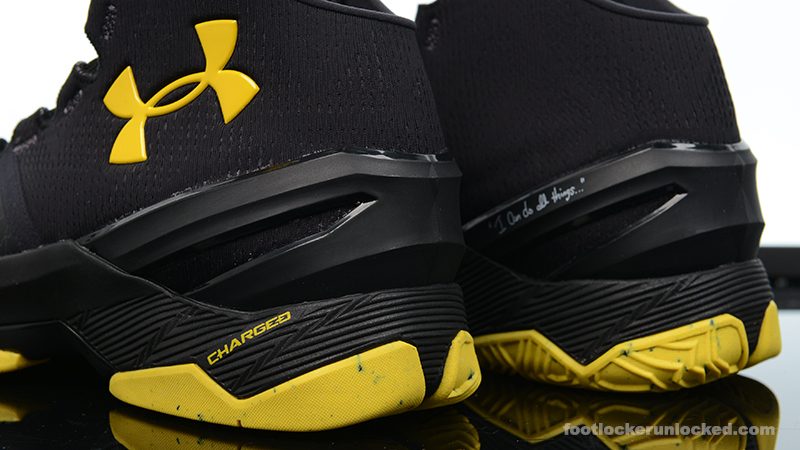 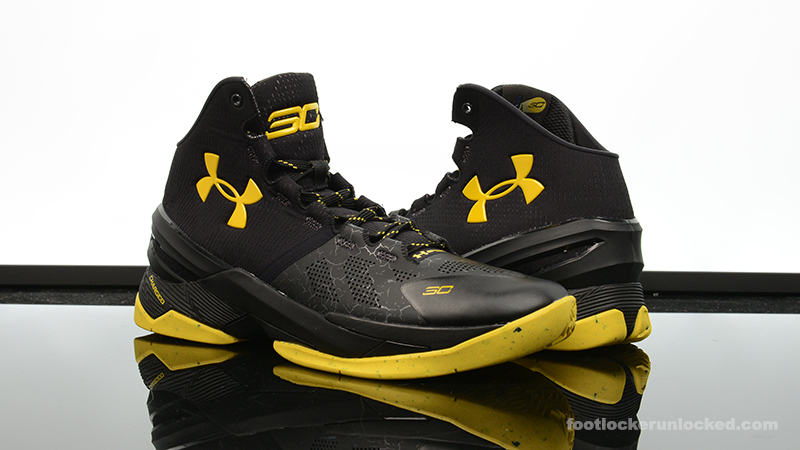 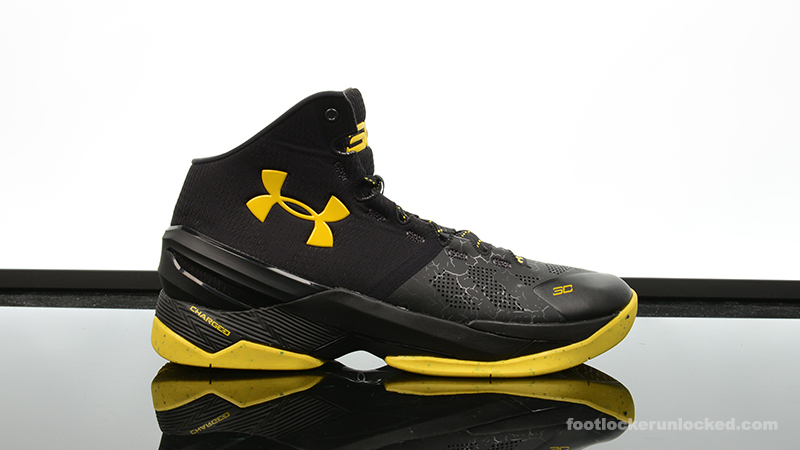 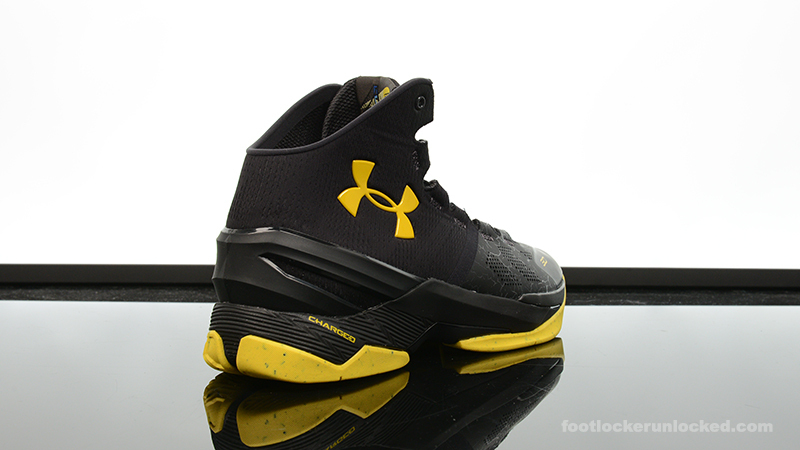 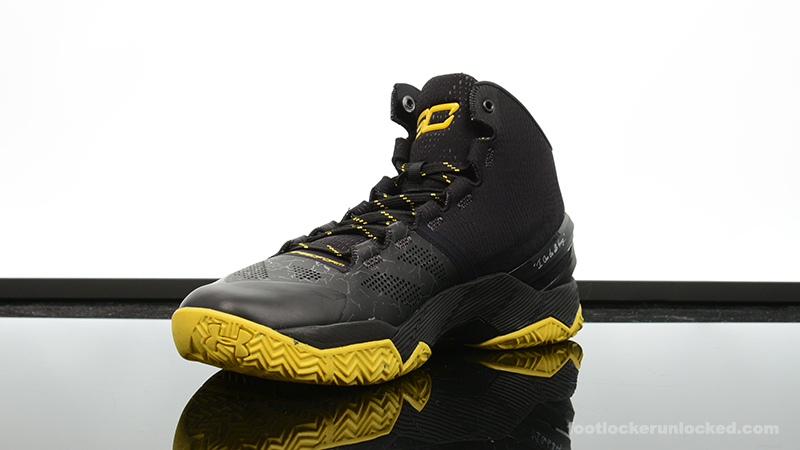 Just in time for the Finals, Under Amour releases the batman-inspired Curry 2 ‘Dark Night’. 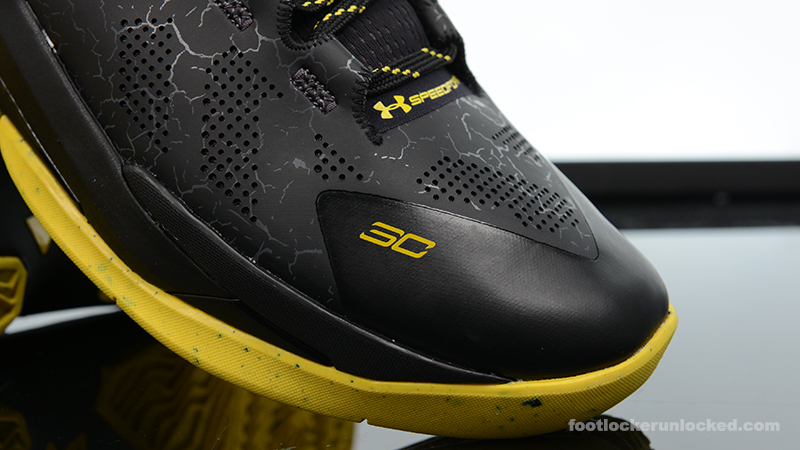 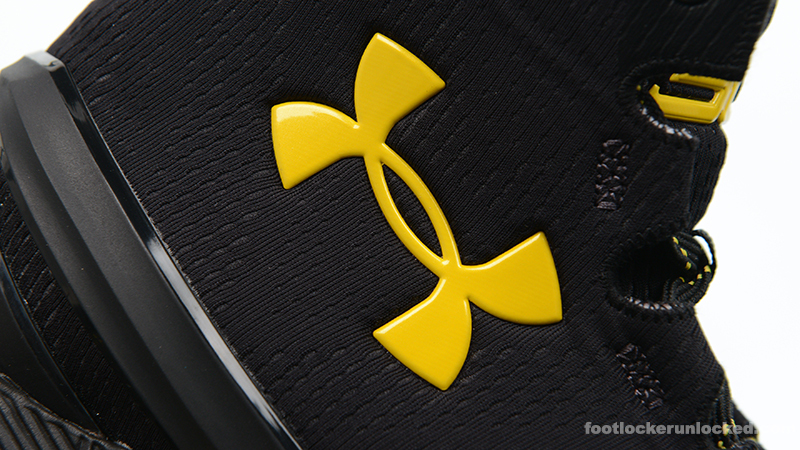 The shoe features an all-black upper and midsole with a subtle crackle print on the toe-box, resting on top of a speckled yellow rubber outsole. 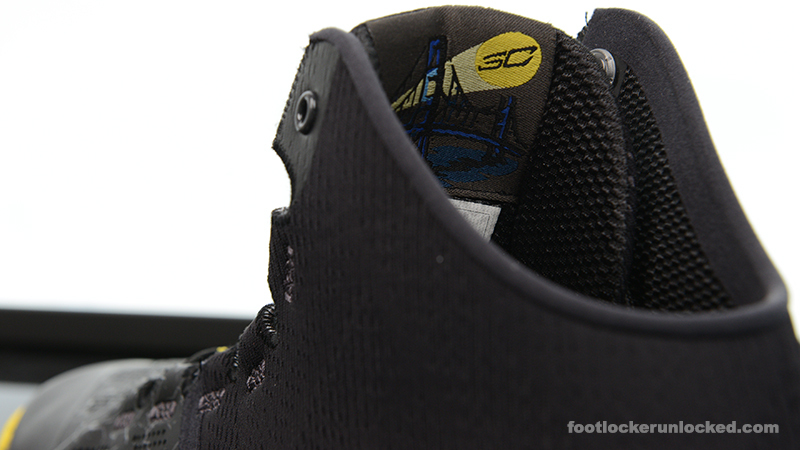 The inside of the tongue hints at the Gotham Guardian boasting a graphic of the Curry logo being flashed over the Golden Gate Bridge. 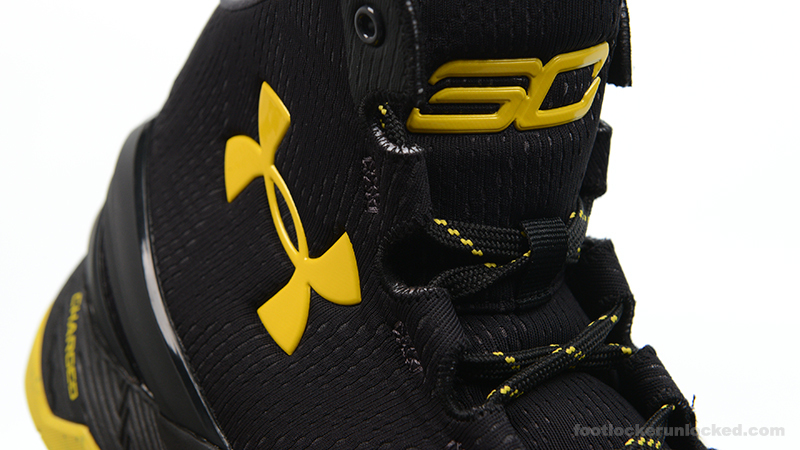 See more detailed images below and pick these up in stores or online Saturday, June 11th for $130. 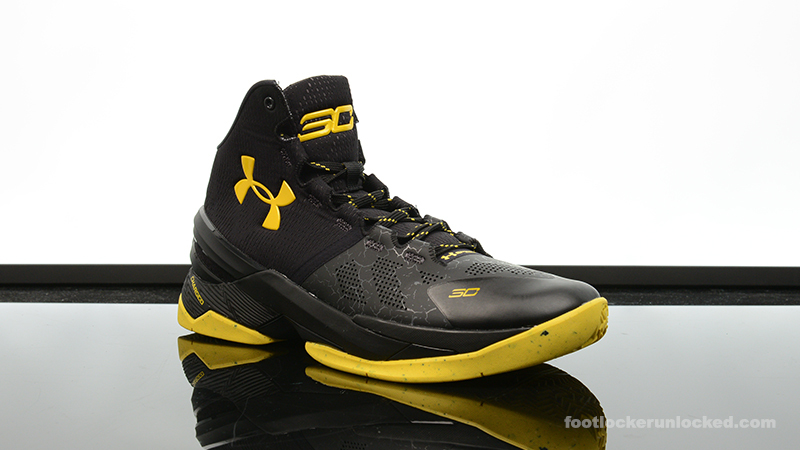 Check out Launch Locator for stores.